how do you defend against a herald? every time i see one in my base it seems like nothing shoots at it? Did you ask what units to use to defend or how to defend? I imagine you have figured out that only dedicated air units hit the herald,To defend honestly is usually not possible unless you have alot of hades and seekers.I use 6 of each and adra.If your base is strong enough fill it with hades and seekers.My hades and seekers are lvl 12 and even 6 of each takes a little while to kill the herald.Online will be easier but it is a very strong unit.I dont think it matters what turrets you have ,mine are max level turrets and lvl 13-14 platforms and it does not seem to make much a difference. You can run, but you will die trying. Many folks have spread their base out to max the time it takes for the slow moving herald to get to them all. Removing things from around your air defense platforms that the herald can target buys time. Really, there isnt a perfect defense against the herald but in fact doing as much damage to the herald as possible. my base is just attack by one of those and the only thing i can do is sit and watch my base getting destroyd. So now i,m asking my selve what is he use going any further with this game when you doesn,t stand an chance .why does kixeye do something like this when this game is already expensive. This game doesn't need to be expensive. It's free, unless you really feel the need to pay. And the game has always been like this -- some fancy new toy comes out that can smash most bases by itself, everyone gets annoyed. Then people either figure out how to counter it, or kixeye releases a new unit the next month that counters it. Well said everyone. As for me, I am only able to take down a herald attack when I am online. And yes, hades has been the most effective in defeating it. Change your heavy turrets to hunter missiles and add hades and seekers as your base defenders. I would also make sure all your platforms airborne cause if they are not, they will be easy targets for the herald. Harald can now hit floaters and if you add all AA then a ojuggy will come in clean up with no damage.Ha ba dat?? I love the smell of burning Russian Tanks in the Morning. Smells like VICTORY !!! HERALD is a high altitude unit. this means that anything that can shoot ground will NOT hit the herald. Try using Hades in your base. Normally when I am offline I put a few hades and they do some serious damage to the herald. you did not know that kixeye is the biggest cheater in the game? 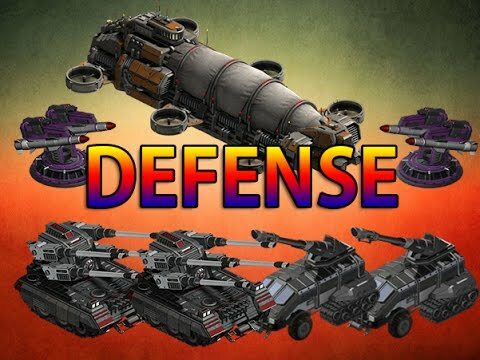 The best options for Herald defense at the current state of the game are to have any of following in your base. However, it's highly unlikely that you will kill the Herald but you would at least be able to hurt it. All other options won't be able to truly hurt the Herald at the current state of the game.